Forest I. is a 20-foot graphite etching of a single plank in a turn of the 19th/20th century wooden barn, located on Fir Island, Skagit County, Washington. This piece is scroll like and measures 20 FEET in length and 16 inches in width. 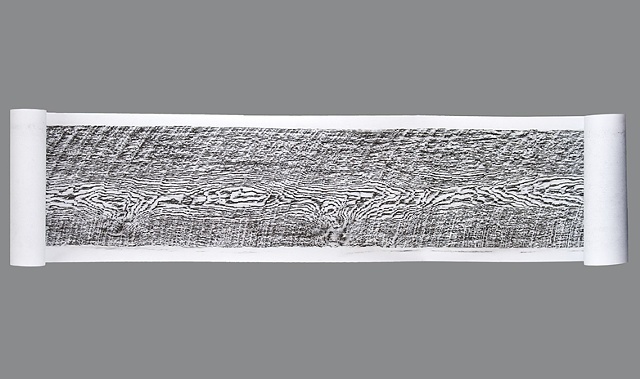 The attached photograph shows an 8-foot section of the scroll, hanging horizontally on a wall.